Want a camper van but have realised that you want a good balance between reliability, practicality and style ? Well, if you’re like us you’re on a journey that has probably started with yearning after a T1 splitscreen or T2 bay window van but have now come to appreciate that there are certain drawbacks to such a romantic notion. Like comfort, for example. Or confidence that it’ll start first time. Or not really wanting to be on first name terms with the man from your breakdown recovery service. The first part of my story recounted how we’d dipped our toes in the water and took an original 1970s Bay to Islay for a week’s break. We wanted to know if owning a classic VW camper van was for us. Unfortunately, it ended with us phoning the hire company to ask them to come and pick up their poorly-maintained van (rear bumper hanging off), having experienced several less-than-pleasant experiences over the previous week. We’re not competent mechanics and the very last thing we wanted was the hassle of an old vehicle costing us money and worry, so we put pay to any idea of owning an original T2. However, we’d already got the camper van ‘bug’ and so the obvious question was: “so if it’s not going to be an older van, what should we now look at ?”. Act II of this little story starts in mid-2010, two years after that fateful holiday in Islay. VW’s camper van, the California. (No prizes to regular readers who know how this story ended, by the way. Please stick with me – hopefully you’ll enjoy the story). We knew that the conversion company Danbury imported modern T2 Kombi vans, which are manufactured in Sao Paolo in Brazil, and converted them into campers. These have water-cooled petrol (or biofuel) engines and look similar to the original T2s with the exception of the radiator on the front and a flatter, squarer roof. Danbury import plain white panel vans and convert them into campers with windows and retro ’70s colour schemes. There are four main model types on offer with a variety of specifications from 4 or 5 seats and an optional 7, but all rear-wheel drive. However, we didn’t even need to view one to know they’re not for us. They seem underpowered (1390cc, 80 bhp), have basic specifications (power assisted steering is an optional extra, ‘clunky’ interiors) and don’t have the looks of the originals with that big grille on the front. It seems that rusting is an issue, even on these new vans. To cap it all, prices start at £23,000 and go up to £35,500 ! Production of Brazilian T2s is coming to an end at the end of 2013 owing to the introduction of new safety laws (where ABS brakes and passenger and driver airbags are required). One view is that these modern T2s will become instant classics and increase in value. I must admit I have my doubts; if you’re going to fork out this much why not buy a fully-renovated late Bay that’s a genuine classic ? Act 11 Scene 2 – Becoming Converted ? We started researching T5 camper vans in mid-2010. There are probably a dozen or more conversion companies in the UK including Bilbo, Danbury, CMC Reimo and Jerba and the key attraction on the face of it is that the purchase price is marginally less than the VW California. Which Motorhome reviewed twelve conversions in their December 2012 issue, revealing the range of styles and specifications on offer. Clearly, the base T5 van is in a different league from the T2: front-wheel drive with 2.0 litre engines between of 82, 100, 240 or 180bhp, and with 5, 6 or 7-speed gearboxes. 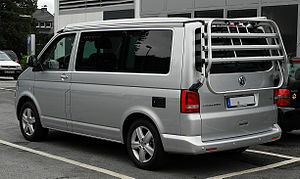 VW restrict supply of the specialist motorhome base vehicle (the ‘SE’) to only seven companies, the others using more basic Transporter bases. In December 2014, Which Motorhome reviewed four campers based on a VW T5 (including the VW California) together with four non-VW conversions, including Mercedes, Ford, Nissan and Toyota bases. The video below gives a pretty good feel for each of these eight campers. When we did our research in 2010 we liked the quality and ‘clean’ look of the Jerba conversion, with several variations available. We personally didn’t like the side-elevating roof of the Bilbo which doesn’t seem the most efficient use of space ‘upstairs’. On one trip away we looked at van from Elite Conversions but were put off the traditional, square look to the storage and the ‘carpet’ coverings (reminscent of buses) to the walls. These days there are many more conversions available to suit different circumstances and budgets. So if you’re looking for a conversion seating a family of five then the CMC Reimo (T5 base), Wellhouse Terrier (Ford Transit base) or the Hillside Dalbury Action (Nissan base) might be suitable. Some people might be attracted by the fact that most UK conversions have the sliding door on the passenger side rather than the driver’s side (as in the VW California SE and Beach). (But having owned a California for four years now I can tell you that this really isn’t a disadvantage – you simply have to park on the ‘right’ side of the road). If you’re looking for just an ‘occasional’ camper (and one that’s in a lower price bracket) then the Bilbo Space (T5 base) or Autosleeper Wave (Mercedes base) might be worth considering. the upper bed isn’t useable for two older children or adults which means that it’s effectively just a two person camper. Perhaps as important, the initial attraction of conversions – a lower purchase price – isn’t all it seems. Generally, conversion prices start at £30,000 – £40,000 with options extra. Only two of the twelve conversions reviewed by Which Motorhome in 2012 came in at under £35,000 and once you factor in options to give the equivalent spec of the VW California then the margin is small, if at all. The best of the T5 conversions reviewed in December 2014 (the CMC Reimo) came in at £52,000, more than the starting price for a VW California. You then have to factor in residuals – conversions will have a higher rate of depreciation compared with the factory-built California and lack the European-wide dealer network should anything go wrong. By now you won’t be surprised to hear that we weren’t persuaded to buy either a T2 Danbury nor a T5 conversion. To be honest, the final Scene is fairly short and sees us going into a VW Van Centre to see a VW California. It took about 5 minutes for us to be convinced. Literally. Each to his or her own. You may well be (or have been) on this same journey and may come to a different decision. And if you buy a VW camper van you’ll still be part of the same worldwide community. But for us – a family of four needing a van for daily use as well as holidays away – the California is easily the best choice. (And ignore the fact that Which Motorhome for some reason viewed the most expensive California with all the options (at £57,000!) … current prices start at around £45,000, only marginally more than some conversions). The ingenuity and clean lines of the Cali’s design, the build quality, the 3-year warranty recognised by a dealer network across Europe and beyond, and the fact that it holds its value far more than any other camper or motorhome (and most cars) means that it was a fairly easy decision in the end. We’ve now owned our Cali for four years and I’ve posted a comprehensive review elsewhere on my site. ← Wouldn’t it be cool to own a VW camper van ? Yes, VW campers will go on forever – and many do – but they do need lots of care and attention. Collectors and enthusiasts tend to have the time to maintain them, and of course older vans are mechanically fairly simple so that an amateur ‘tinkerer’ can keep them on the road. I’m not sure that modern vans can be maintained by amateur mechanics (too much electronics) but they’re certainly made to last. It will be interesting to see whether the newer vans have this same longevity over the long term. I have owned 2 vw vehicles and my family have another 2; I will never buy vw again ever! Totally unreliable and expensive to run. I have owned 2 Toyotas including a hiace camper, totally reliable! Unfortunately toyota are not popular in UK; a hiace lwb with autobox (easier driving) would make campervans a much better option, especially if the converters opened their minds to something better than a cramped arrangement including a narrow short bed and restricted cooking. My reply to the standard rock and roll bed is “you cannot be serious” . The same goes for the lack of facilities in most camper, e.g. how many of us use a freezer at home? how many of us would contemplate going back to non freezer kitchens? so why do so many vans not have even a cool box? Also have you tried cooking a full meal on 2 burners? etc etc. the average converter does no favours for the customer and is merely grabbing the cash and running. I think you’ve just expressed the reasons why motorhomes are so popular – more space, bigger beds and more cooking gadgets. The trouble is, you can’t use a motorhome as a daily vehicle which is why lwb campers are so much more practical. Inevitably there are trade-offs to be made whichever way you go. Having spent many years exploring with a tent lashed to the back of a motorcycle I can tell you that even the smallest camper is far more luxurious, obviously less manoeuvrable than a bike, less capable off road, way more storage, more expensive to run, warmer, dryer, slower, can carry more people. I guess what I am saying is it depends where you are coming from, no use comparing apples and oranges. Motor homes and campers are two different things, not better or worse than each other, just different. I love my camper and my bike, wouldn’t thank you for a motorhome at this moment (it wouldn’t fit on my drive for a start!) but that doesn’t mean there is anything wrong with them or that other people don’t have a whale of a time with them. Enjoy what you like, doesn’t mean different choices are wrong. Thanks – yes, I’m with you up to a point. I agree that there’s no point in comparing different kinds of vehicles … but this wasn’t the purpose of this post. I’m not making comparisons with motorhomes and campers but comparing older VW campers with newer models. The reason for this is that many people buy a newer VW camper having previously owned a T3, T4, Bay or whatever. I set out our thought process simply because many, many other people go along this same journey and ask the kinds of questions that I was trying to answer in this post. Thanks, this is a bit of a dilemma. With a £7k budget and an aversion to campsite holidays for more than 2 days it sounds like a tent is the way to go. You’d certainly be hard pressed to get a reliable T4 or certainly T5 for that budget for daily use. I’m agree with you on older vans – you pretty much need to have deep pockets or be a mechanic and keep them on the road. 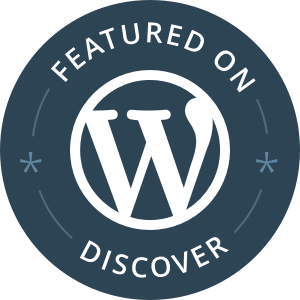 First – Thanks for a really great site! Second – as a former T2 owner for several years, we recently went Bongo for the grand sum of £5500. Only had it for a few weeks and not used it in anger but we’ll be touring Scotland in August, so fingers are crossed. Anyhow, if you’re looking for entry level campering, then putting aside rust issues (nothing rusts in Japan), you get power steering, ABS, Airbags, Air Con, 140ish BHP, 4 speed auto and 4WD on most, electric everything including elevating roof. I’ll report back when we’ve made it back perhaps…. Great, I hope your trip goes well and let me know how you got on. You might be interested in contributing to the ‘Happy Campers’ series elsewhere on the site too ? So far there aren’t any Bongos (or Bays or Splitties) featured. I’m a Jerba owner and LOVE it! A VW was perfect for my use: easy to manoevre being so similar to a large car. I can park it anywhere unlike a motorhome. I can drive around Devon lanes, unlike a caravanner we came across who touched both sides of the hedge and didn’t know how to reverse! Once I’d reversed a mile to get him past, a fellow VW and myself wound down our windows to congratulate ourselves on our wise choice…..electric wing mirrors are a must! As to Fred, my Jerba, I have great power, a lovely pop up roof which doesn’t hole or have any known prospect of the paint bubbling. I got to choose my woodwork (my choice was traditional but there were oodles of choice) and also my lovely curtains (an option is to supply ones own fabric). It has leather seats which is ideal when you have a dog. Simon Poole, the owner, has been very helpful. He was a campervan owner before he started converting transporters so designed the van superbly to make clever use of all space available. Fred is adorable…and we get many admirers. Well worth a look. I listed the layout I wanted, and the look and feel…I felt Jerba provided the quality I was looking for, the individuality and all the choices of power, upholstery, woodwork, etc that made it so special. It’s a Jerba for me….but I do enjoy the VW California Forum!! That sounds like a resounding seal of approval for a Jerba then ! A good summary of the options and benefits. T5’s are utterly charmless, might aswell be driving a transit.